HONOLULU (20 July 2016) U.S. 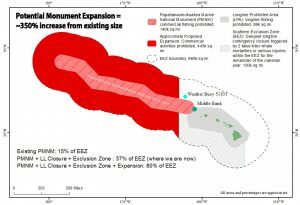 Senator Brian Schatz (D-Hawaii) has yet to respond to a June 20th request to meet with the Western Pacific Regional Fishery Management Council on his proposal to expand the size of the Papahanaumokuakea Marine National Monument (PMNM) fourfold. Also unanswered are letters sent by the Council to President Obama on April 8 and July 14, 2016, with concerns about the impact to Hawaii’s fisheries of the proposals by Schatz and by seven Native Hawaiians in January 2016 that the President expand the monument using his authority under the Antiquities Act. Council Chair Edwin Ebisui Jr., Executive Director Kitty M. Simonds and Vice Chairs McGrew Rice, William Sword, John Gourley and Michael Duenas reminded the Senator that the Council has federal jurisdiction over the waters within the Northwestern Hawaiian Islands beyond the current monument boundaries under the Magnuson-Stevens Fishery Conservation and Management Act of 1976. 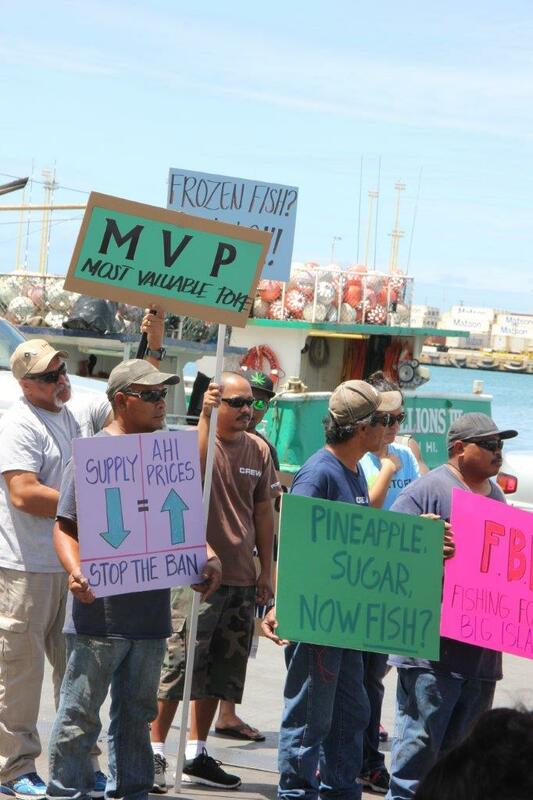 Hawaii fishermen, businessmen and chefs rallied on July 15 to publicize their concerns about the impact of the proposed expansion on their livelihood and availability of fresh local fish. According to his website, Schatz was in Hawaii on July 17, before heading to Asia. While in Hawaii, he met with PACOM commander Admiral Harry Harris, toured the USS AMERICA, observed the Rim of the Pacific (RIMPAC) Exercise, and met with sailors. “The scientific and public participatory requirements of the National Environmental Policy Act, with which the Council must comply in managing fisheries, is a far cry from the token three-hour public meetings to be held by NOAA and the US Fish & Wildlife Service on Aug. 1 and 2 in Waipahu on Oahu and in Lihue on Kauai,” says Ebisui. According to the notice of the meeting, just released publicly Monday, written comments can also be submitted in person during regular business hours at three locations on Oahu, Maui and the Big Island on these same days. 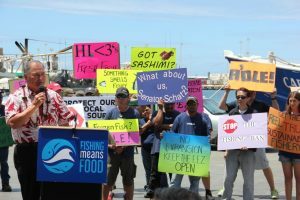 For copies of the letters to Schatz and Obama and information on fisheries in the Northwestern Hawaiian Islands and concerns about the monument expansion, go to www.wpcouncil.org/nwhi-fisheries.